Late Tuesday afternoon, we published our investigation in which four men told Andrew Keatts that they had been harassed, groped or assaulted by San Diego Unified school board trustee Kevin Beiser. All of the men who shared their stories, including one who filed a lawsuit against Beiser earlier this week, share some common traits: They were all young and politically ambitious; two have even run for office. After the story published, Beiser sent us a statement: “There is no truth to these allegations. We believe they are politically motivated and we intend to vigorously defend ourselves,” he wrote, referring to the accusers. The San Diego County Democratic Party has officially called on Beiser to resign. The party’s central committee voted 58-4 Tuesday night in favor of a resolution asking for Beiser’s resignation. Party Chair Will Rodriguez-Kennedy said the vote sent a message that the party believes people who say they are victims of sexual assault. The U-T’s Kristen Taketa reported that Beiser was absent from the district’s special board meeting Tuesday. Superior Court Judge Robert Dahlquist ruled that a group of Encinitas residents won’t be able to intervene in two housing lawsuits against the city, the U-T reports. The group, Preserve Prop A, wanted to get involved in the court case after Superior Court Judge Ronald Frazier ordered Encinitas in December to submit a housing plan to the state within 120 days and determined that the city would be allowed to temporarily exempt itself from Proposition A – which requires voters in the city to approve major land use decisions. 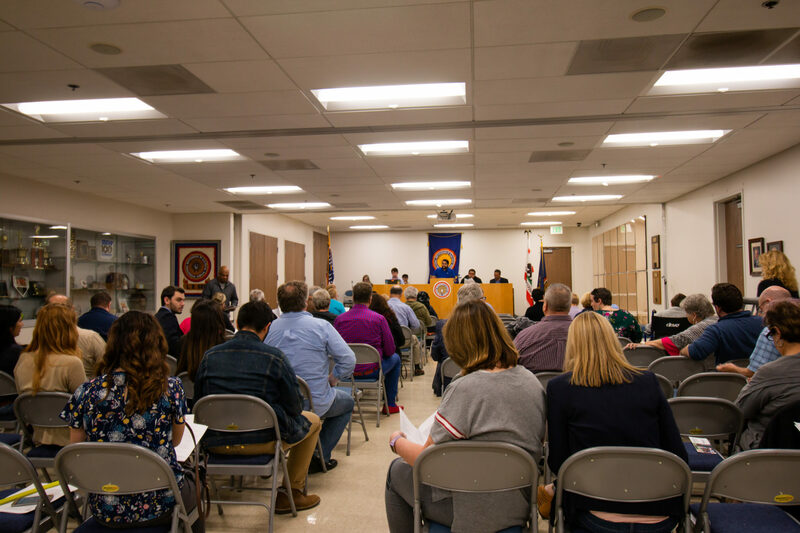 Encinitas is the only city in San Diego County that is out of compliance with the state’s housing element law, which requires cities to put forth a blueprint for growth that accommodates housing for various income levels. In both 2016 and 2018, under Proposition A, Encinitas voted down the housing plans put forth by the city. As a result, the city is facing lawsuits from the both the Building Industry Association of San Diego and San Diego Tenants United, which represents low-income renters, over its lack of compliance with the state law. The judge’s directive to temporarily stop Proposition A from intervening in getting a housing element done is what prompted the citizens’ group to try and get involved. In this week’s Culture Report, VOSD contributor Julia Dixon Evans profiles Mónica Mendoza, who fronts the cross-border indie band LeRa and founded GRRRL Independent Ladies, a collaborative that aims to unite women and non-binary musicians in San Diego, Los Angeles and Tijuana. The border has always been a big part of Mendoza’s life. She’s now trying to blur the line by helping musicians on both sides of the border play on the other side. Also in this week’s arts and culture news roundup, Dixon Evans highlights a Race and Oral Histories project at UCSD, collaborations between local high schoolers and artists and the San Diego Latino Film Festival, which only runs through this weekend. Voice of San Diego has joined a statewide coalition of newsrooms fighting for access to police misconduct records. Meanwhile, NBC 7 finds that the city of San Diego spent more than $576,000 of taxpayer dollars since 2010 for violating the state’s public records law. The San Diego City Council voted again Tuesday to support Mayor Kevin Faulconer’s proposal to eliminate parking requirements for apartments and condo buildings near public transit, but this time Councilwoman Barbara Bry switched to a “no” vote. Bry announced Monday she would be voting against the plan, though she previously voted to approve it and even praised the idea on Twitter. The San Diego City Council also voted unanimously in support of a plan to temporarily shelter women and families at Golden Hall.